Wellington are looking to continue their winning streak to three games in a row and make a case for the finals, while Brisbane enter the ring looking to finally get their season up and running. The Phoenix are the topic of much discussion for two reasons. 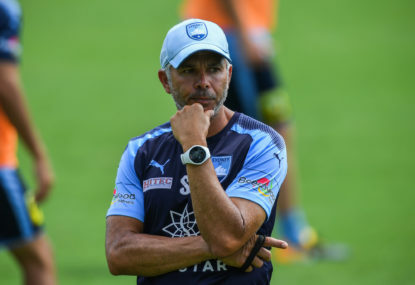 One is the form they are hitting, and the other reason is the talk that they may be kicked out of the league at the end of next season, most likely for Canberra United. But they didn’t let any of that get to them last Saturday by grabbing a 2-0 win over the last-placed Central Coast Mariners. I was watching the game and although the ‘Nix’ looked like the stronger team throughout the match, the stats may prove different. They were behind on shots, they were behind on possession, behind on fouls, and a few other things. 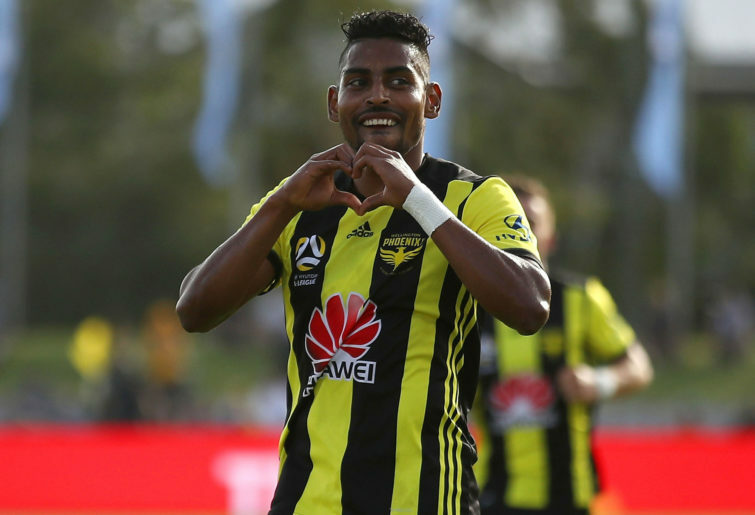 Roy Krishna, this one is simple. 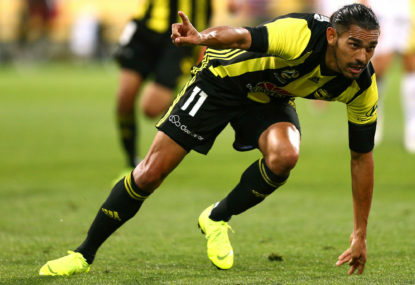 He is the best player in Wellington and has been for the past few years. With four goals and an assist already, he is an extremely quick player – look out Brisbane’s defence! Defence. Krishna may be their key player but their defence is starting to build a lot of quality after the additions of Steven Taylor and Michal Kopczynski. If this backline can keep the Roar to one goal or less, Wellington should have a certain three points. Pressure/Media. They didn’t lose against the Mariners, but this is Brisbane who are still a quality side. They will still be well aware of the possibility that they won’t be around for much longer and for example, Gold Coast United started to perform poorly when talk arrived that they would be kicked out of the competition. Another big talked about team. It’s always discussed, but Brisbane fans are starting to ramp up a quest for John Aloisi to be sacked. Last week was a very bizarre game for the Roar. 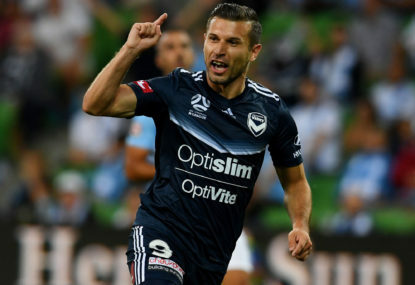 A 2-4 loss to on-fire Melbourne Victory consisting of all 6 goals being scored in the first half, and marquee Eric Bautheac being sent-off. Throwing in a bit of a surprise, Daniel Bowles. One of the defenders will have to deal with the more all-round striker in Sarpreet Singh, and I expect that to be Avraam Papadopolous. But Bowles isn’t that slow, if he can keep up with Krishna, this game could be a bit different. On paper. Compare the two teams on paper, the Roar look way better. 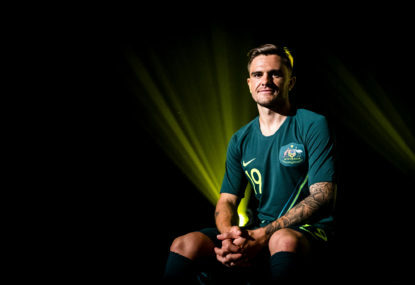 I don’t know if they’re failing because of chemistry or if the John Aloisi stuff is getting to them, but if everyone in these two teams were Australian, I’d see maybe four Socceroos for Brisbane and maybe one or two for the Phoenix. Possession. Look at the possession count against Melbourne Victory, they only had 25 per cent of the ball! Very straight forward, if you don’t have the round piece of leather, you will have less scoring chances, and you won’t win games. I know they had ten men, but they’ll need at least 40 per cent possession to beat the Nix. This game should be a good one. I still believe Brisbane will play finals because they are a great team on paper, they are which is why I’m tempted to tip them here. 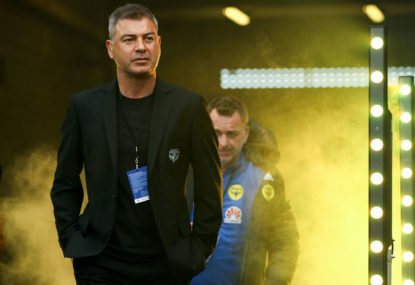 But judging by form and by the home advantage, the Nix should just get the job done. Next week, I’ll be previewing the New Year’s Eve clash between Central Coast Mariners and Perth Glory.